EAEA membership is an opportunity to become part of a European wide network of adult educators. In order to candidate to become an EAEA member, you need to fill our application form and submit it. Please prepare your information and documents before filling in your application. In case you have questions, please contact EAEA Membership Officer Aleksandra Kozyra. EAEA’s membership fees are calculated based on the member organisation’s annual turnover. The yearly turnover is the basic figure to calculate the membership fees. In addition to the fee the members pay for the bank charges when paying the membership fee. Ordinary members: Ordinary members are national coordinating organisations in Europe and national organisations in a European country where there is more than one coordinating organisation, or where there is no national co-ordinating organisation. 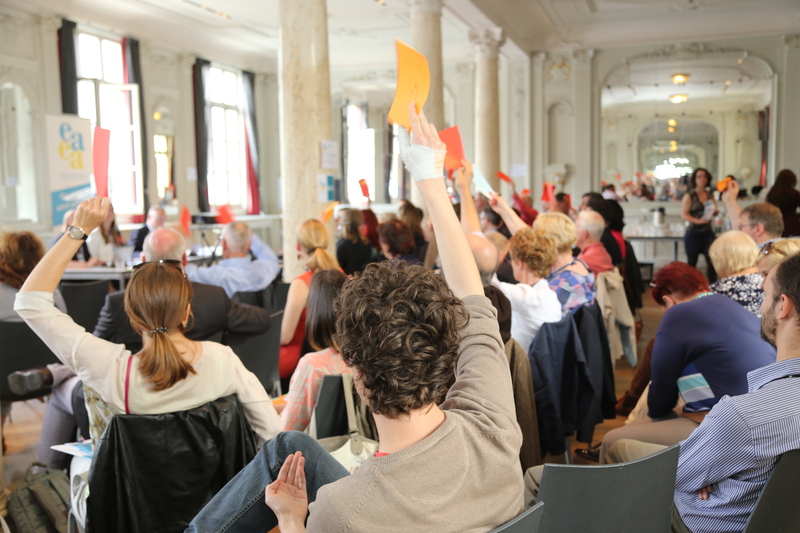 Ordinary members carry the right to vote in the EAEA General Assembly. Associate members: Local, regional, and international organisations. What happens after I submit the application form? Your application will be on the agenda of the next EAEA Executive Board meeting. The Board meets 3–6 times a year. The Board will either approve or reject your application, or ask for more information. Once the Board has approved your organisation, you will be listed as a candidate, which means that you start getting advantage of EAEA’s information services. At the next EAEA General Assembly, the list of member candidates will be presented and approved by EAEA members, and from then on, you will be listed as an official EAEA member.